Generate consumer publicity for strength training workout geared to kids 9+. Create awareness of the need for strength training among young athletes and drive parents to help their kids strength train at home vs. expensive training facilities. 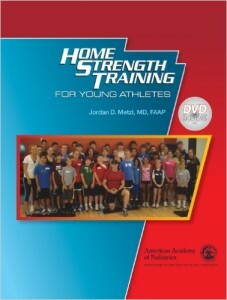 Position leading sports medicine physician and author, Jordan Metzl, MD FAAP, as the leading authority on strength training to prevent injury in young athletes. Generate publicity to educate parents and coaches about proper strength training and the benefits of Dr. Metzl’s IronKids workout. Feature article in The New York Times focusing on the workout, an interview with Dr. Metzl and injured kids who benefitted from the workout. TODAY segment with Dr. Metzl demonstrating the workout with young athletes. The AAP/Dr. Metzl program is steadily growing in use among young athletes, coaches and teams across the country.